Introducing my new podcast, Listen to the Signal! Anyway, here’s the idea: an audio podcast of original science fiction short stories by yours truly. I couldn’t wait for you to say “hell, yeah!” so I went ahead and created it. It’s called Listen To The Signal. 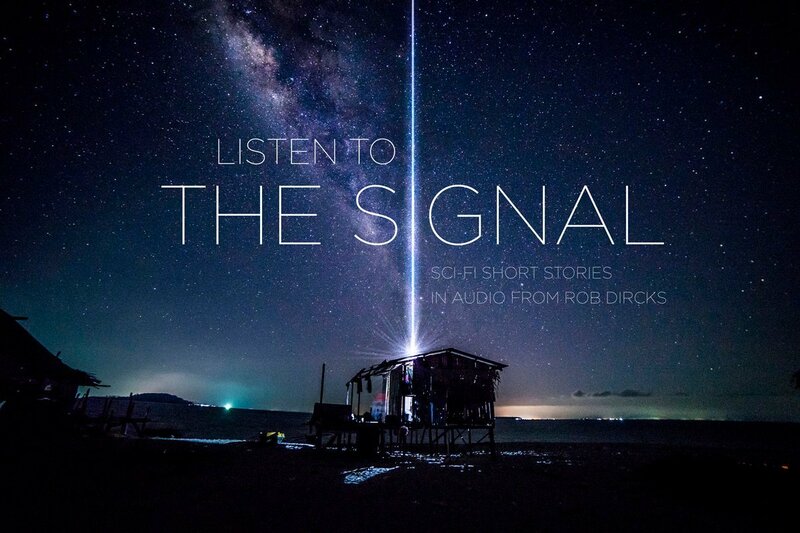 Visit the Listen To The Signal podcast now! It’s an audio podcast that answers questions like “What would happen if a smartphone game was so addictive EVERYONE played it at once?” or “When we discovered Pluto’s new moon Nix in 2005, did we catch someone discovering us?” Every month, I’ll write an original science fiction short story and narrates it for your listening pleasure. 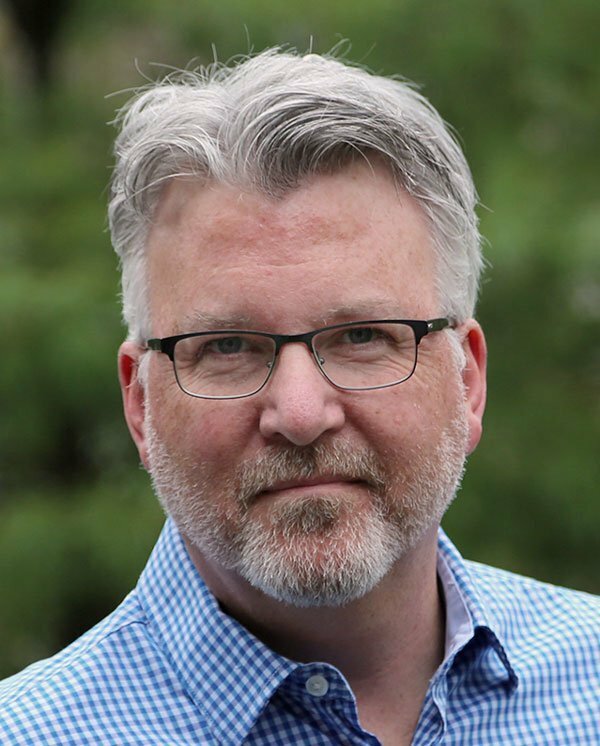 You can listen right here on the site, download the files for listening wherever, or subscribe to the podcast in iTunes. And it’s all FREE. That sounds great, Rob. How does it work? You can also subscribe to the podcast on iTunes. Enjoy! Prev:Join me at the first annual Indie Author Day, hosted by NY Public Library! HI Rob, you’re a genius and a very nice sounding person. 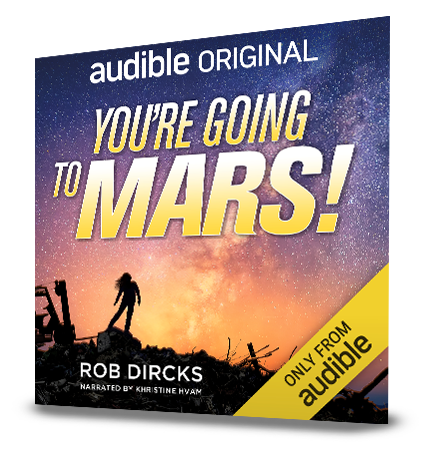 Thanks for the video on creating your own audiobook. I’m currently using a PC with audacity but as my hard drive space is nearly all used up, I think I’ll change over to a Mac and use GarageBand. Assume the output is MP3 and I can load to it through Power press for podcast. Do you know? Hi Michelle, a couple of thoughts: 1. If your PC is working okay, you could get yourself an external hard drive to store your audio files. They are CHEAP now! 2. If you’re going to change over to a mac/garageband setup (my setup, which I like a lot), then yes, output is MP3 and Powerpress is great for podcasting. HOWEVER, you have to have a place to upload the audio files that you can link to. If you have a hosting provder, you can put the files in a directory on your wordpress site, or even upload to your Media Library in WordPress, and get the permalink. Or, you can upload to Powerpress, but it’s a subscription so there’s a fee. Good luck!